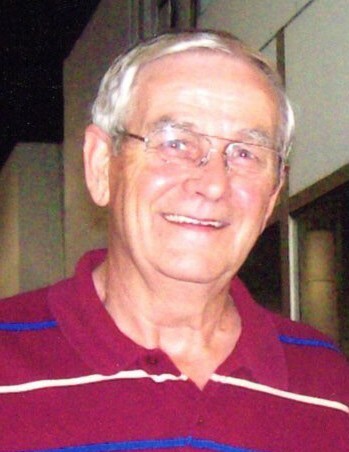 Rondal Parten, 77, of Paragould, passed away Monday, January 14, 2019, at his residence. Rondal was born February 1, 1941, in Black Oak, Arkansas, to Jesse Rondal and Hazel Elizabeth Parten. He was a 1960 graduate of Monette High School. Rondal retired from Emerson Electric after 36 years of service. He was an avid golfer and a longtime member of Center Hill Church of Christ. Rondal was preceded in death by his parents and sister, Wilma Jo Boling. Survivors include his wife of 58 years, Sheila Parten of the home; son and daughter in law, Douglas and Jill Parten of Marmaduke; daughter and son in law, Tracye and Jeff Rose of Marmaduke; grandchildren, Beth, Brooke, LaTasha, and Jesse; great grandchildren, Parker, Lincoln, and Jocelynn; and several nieces and nephews. The family will receive friends Thursday, January 17, from 11:00 a.m. until service time at Phillips Funeral Home. The funeral service will begin at 1:00 p.m. at Phillips Funeral Home with Michael Meredith officiating. Burial will follow at Greene County Memorial Gardens. Lasting memorials may be made to the Children’s Homes, 5515 Walcott Road, Paragould, AR 72450, or the American Cancer Society, PO Box 22718, Oklahoma City, OK 73123.